When preparing for the show, I completed several makeovers and never shared the before and afters. Here is one that I am especially fond of. Why? 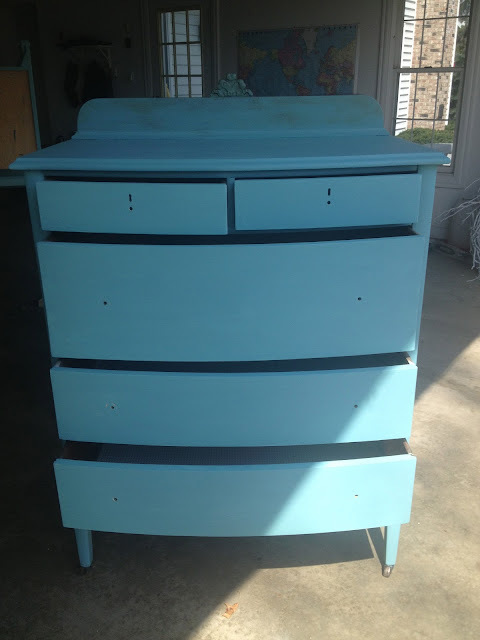 Why would you do this to this beautiful dresser? 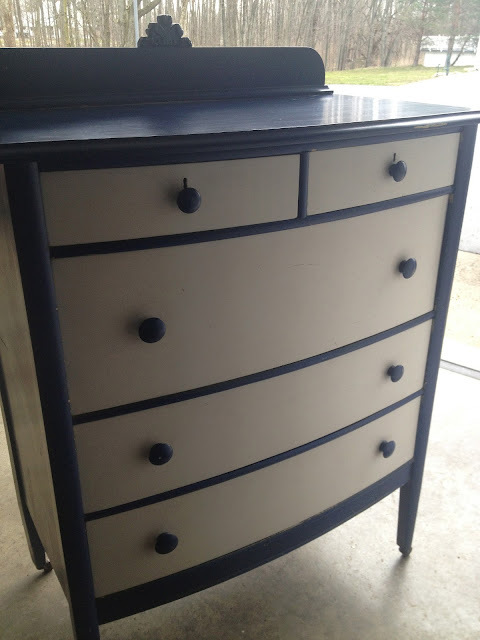 Painted in Annie Sloan's Provence. Playing around with dark wax. 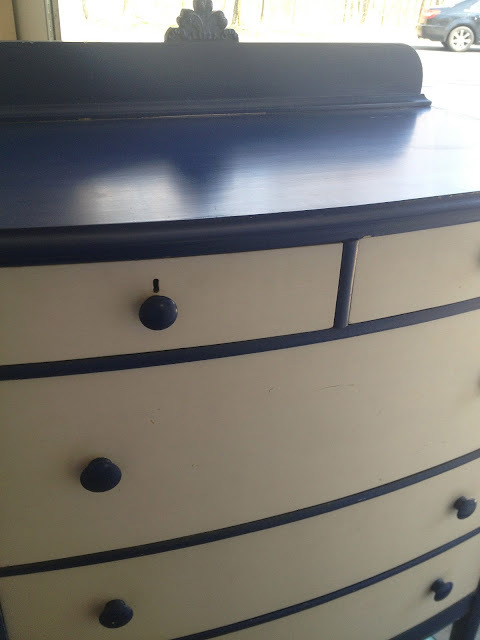 Dark waxed with glass knobs. 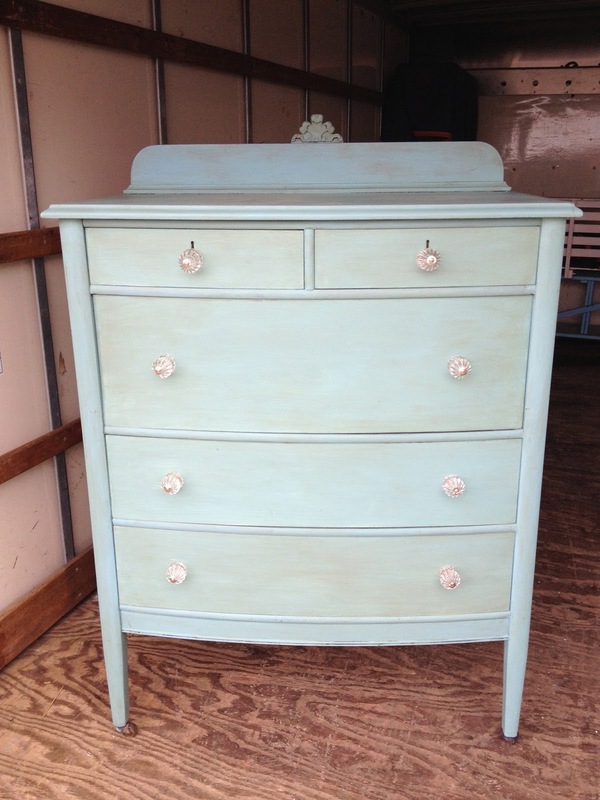 This is one of my favorite colors in Annie Sloan's color selection. It's a soft aqua and can be incorporated into so many design schemes. My spouse and I stumbled oνeг here ԁifferent website аnd thought I maу as well cheсk things out. I like what I see so i аm juѕt follοwing уоu. Look foгwarԁ to finding out about your web page yet again.